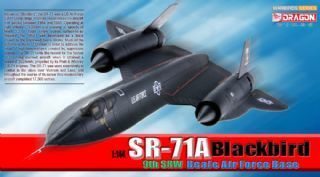 Box Size: 8.3" x 7.5" x 2.0"
- Fully detailed 1/144 U-2R "Dragon Lady"
Despite its advancing age, the U-2 “Dragon Lady” continues to fly high-altitude all-weather reconnaissance missions for the US Air Force (USAF) even today. Built by Lockheed, the U-2 is powered by a single engine, and its high-aspect-ratio wings and light construction resemble that of a glider. While its particular planform is required by the high altitudes at which the aircraft flies, this also makes it very difficult to operate. Indeed, the U-2 has to be flown at near maximum speed to avert stalling. 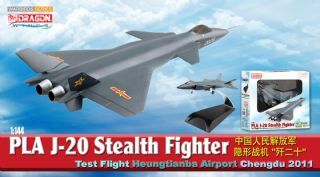 Landing is a particularly hazardous undertaking as it uses bicycle-type landing gear and titanium skids on its wingtips. 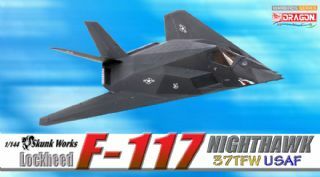 It can fly at altitudes of 21,000m, requiring the pilot to wear the equivalent of a spacesuit. The U-2R (initially known as the TR-1A) is a modified U-2C featuring larger under-wing “superpods” and increased fuel capacity. 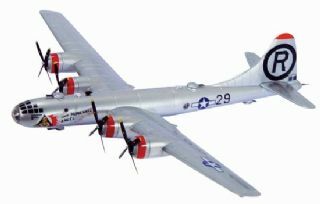 The type first flew in 1967, and the final example was delivered to the USAF in October 1989. It is powered by a Pratt & Whitney J75 turbojet engine, and a total of twelve U-2R Dragon Ladies were built. Various surveillance and intelligence-gathering sensors are carried onboard. 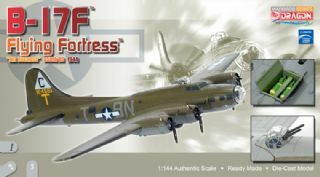 This specific variant of the Dragon Lady is the subject of Warbirds’ new 1/144 scale die-cast model. It’s exciting as it’s a brand new design made from completely new toolings. 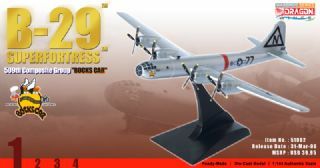 The long, slim fuselage and outspread wings are accurately reproduced. Panel lines are finely engraved on it. 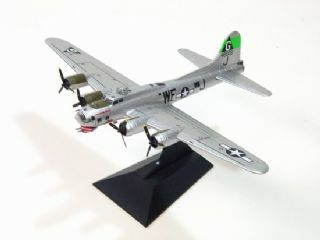 With a wingspan of more than 210mm in this scale, this is a truly impressive model. To enable it to be presented to best advantage, it comes with a sleek metal display stand. 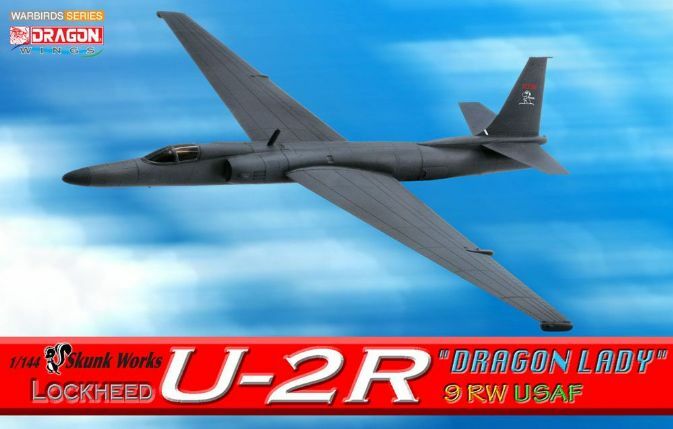 This high-altitude recon aircraft is rarely seen, but collectors can now get their very own U-2R at desktop level!